There’s something about that Metro product from the early forties that just exudes confidence. Almost everything they did was a hit. Some of the pictures may not seem so hot today, but they sure delivered the bacon then. 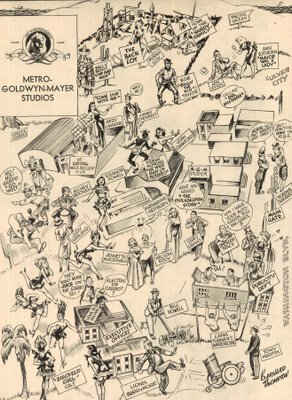 This jokey studio map was published in February 1941. That was also the year MGM initiated The Lion’s Roar, a designed-for-exhibitors quarterly reminiscent of the lavish Fortune magazine, with it’s one dollar cover price. 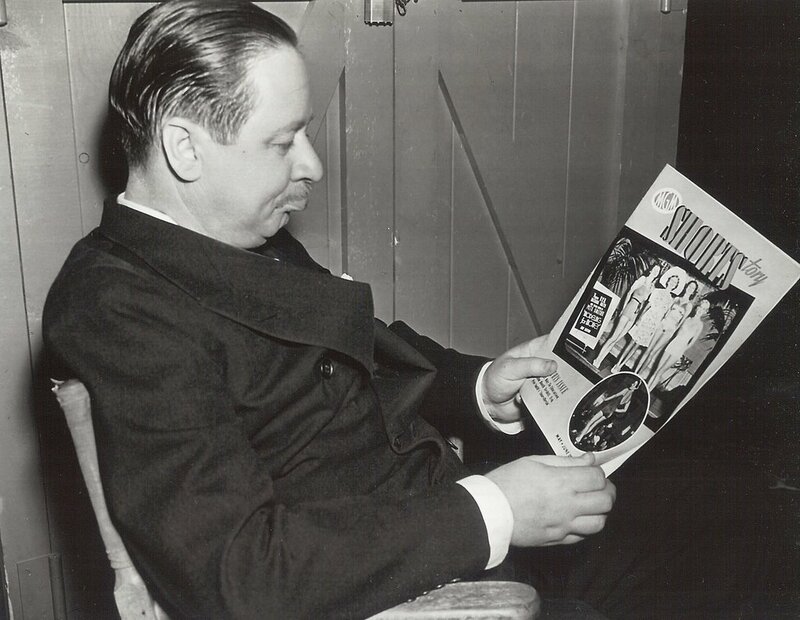 The studio even did a separate periodical for its short subjects, as you’ll see in this still of Robert Benchley perusing one of them. Lion’s Roar turned up in more than a few public libraries and doctor’s offices, as in-the-know movie followers quickly recognized it as the daddy of all fan magazines. 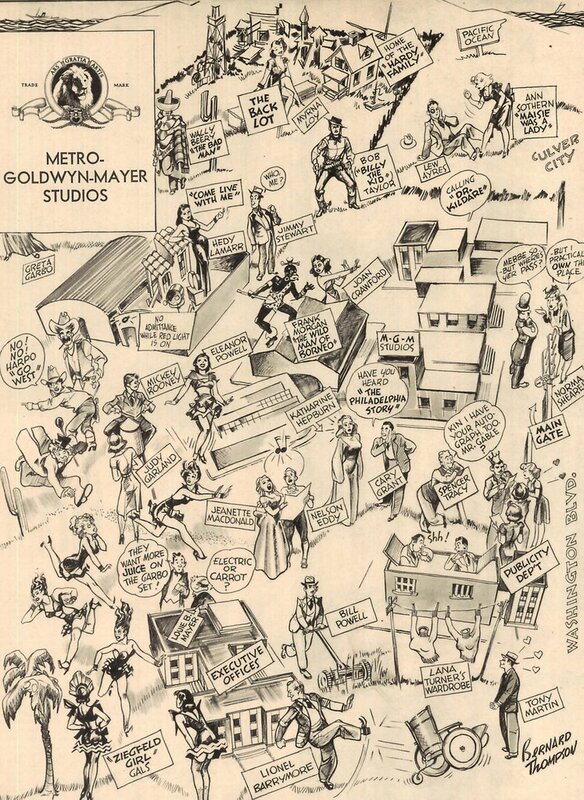 The studio at Culver City is depicted here as a whimsical fairyland. Mickey Rooney’s still around to assure us that indeed it was. There was no happier place in the world when you were riding high. So who among these stars had reason to be happy, and which ones were headed for the rocks? From the top, we have "Wally" Beery. People couldn’t stand working with him, but his stuff brought in the coin. Watching a lot of it today can be pretty rugged, especially the ones during the forties, when the Beery formula was so calcified that the stories almost wrote themselves. That big lovable oaf slobbered over every kid player that ever passed through the lot (not off-screen, heaven forbid), and those "romantic" pairings with one-note battle-ax Marjorie Main became increasingly cringe-worthy as the decade wore on. Lew Ayre’s black eye wasn’t intended to be prophetic, but that’s sure how things turned out when the war started less than a year later and Lew declared himself a conscientious objector. Metro certainly wouldn’t be "Calling Dr. Kildare" after that. We’ll have more on this fascinating topic next week, by the way, so check back. Norma Shearer’s telling the studio guard that she "practically own(s) the place", but that wasn’t much help when her last two for them (We Were Dancing and Her Cardboard Lover) took a nosedive into a pool of red ink. Same was true for the Marx Brothers, whose track record at MGM included three that lost money (A Day At The Races, At The Circus, and Go West). And would Mickey Rooney have been as cooperative if he’d known that he was far and away the most dependable profit-getter of the whole bunch? In fact, Mick was the only sure thing on the lot. Every Metro picture he did up until Summer Holiday (1948) was a hit. If this map had been drawn a few months later, I suspect Greta Garbo would have been omitted, as her bags were nearly packed by this time. 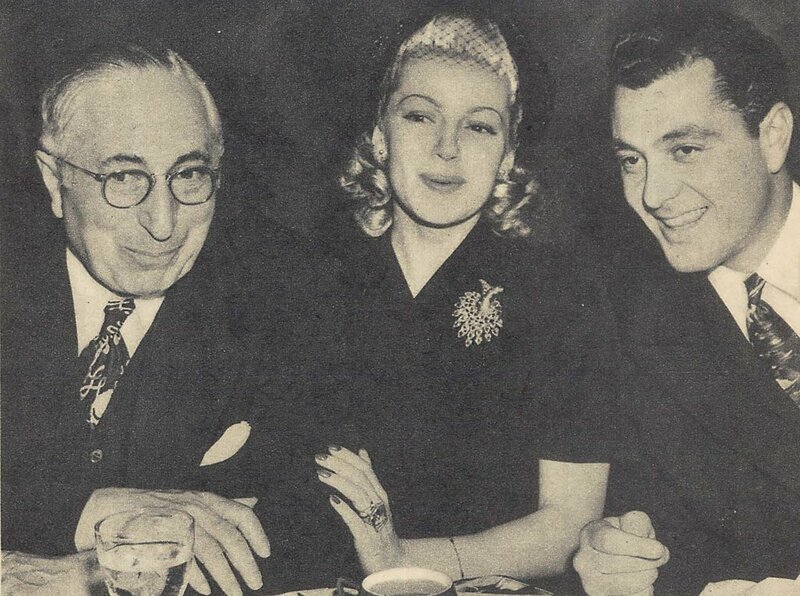 Depending upon your viewpoint, Lana Turner is either dining with Satan Incarnate or the Sweetest Daddy Figure a girl ever had (and we’re not referring to Tony Martin). No story involving MGM would be complete without at least a glimpse of the head man, so here’s Louis B. Mayer night-clubbing with grateful wage slaves Lana and Tony. Wonder if he picked up the check? This happy group exiting the Thalberg building needs no introduction, but by this time, Shirley Temple had to know she’d made a bad mistake signing with Metro. Her brief tenure there would yield only one starring vehicle, Kathleen, before she’d move to Selznick and better roles. 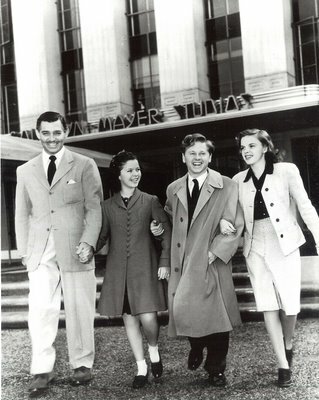 If you’d told Gable that day he’d be enlisting in the Army within the year, he’d have no doubt said you were crazy, but that’s how things turned out, and the fresh-faced, almost boyish, smile he displays here would be a thing seldom seen around the MGM lot after the war ended. Please, please, pleeeaaase, do the Monday Glamour starter on Lana soon! What a great shot of the great Mr. Benchley. He looks completely annoyed... at having to pose for a publicity shot, or because he's not on the cover of MGM's ShortStory?? ?